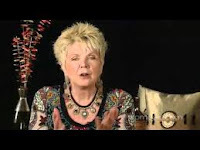 Patricia King is the leader Extreme Prophetic, a group that advances doctrines considered fringe even among lunatic fundamentalists – even Cindy Jacobs and C. Peter Wagner reject them, though mostly for silly reasons, it seems. In particular, King and her group think they can raise the dead, and have devoted much effort to doing so: “Raising the dead has always been a mandate of the church. Jesus commissioned us to go in His name and preach the good news of the Kingdom. He then went on to explain, that includes healing the sick, casting out demons, and raising the dead.” Our old friend Caleb Brundidge is a prominent member, and Todd Bentley is allegedly a fan and student of King’s. It is worth noting that Cindy Jacobs claims to be able to raise the dead, too; her renounciation of what King claims to be doing seems to have more to do with fundie dislike of competition her perception of King as being involved in New Age worship of evil demons rather than a charge of charlatanery and/or delusion. Apparently King runs an online Bible school and something she calls the Glory School, where students are offered the opportunity to “freely access the throne of grace, acquaint yourself with the glorious supernatural phenomenon in the Kingdom, encounter the Lord and His angelic majesties, and much more” (it’s not free). Here is a deranged critique by one Victor Hafichuk, who knows that King (“a New Age witch”) is a fraud because “God has graciously granted me and others access to the throne of grace to which she refers, and I’ve never seen her there.” Part of the criticism of King seems to be based on her New Ageish idea that “supernatural experiences” (i.e. hallucinations and tripping) should be a normal part of Christian life. Diagnosis: Seriously delusional. She does indeed seem somewhat less explicitly evil than some of her critics – though that’s a low bar. Her impact is, despite her own claims to the contrary, probably relatively limited. Now I know were all those zombies are coming from. Patricia King and her flock are responsible. Those fundamentalists, those fundamentalists. Nasty customers all of them.